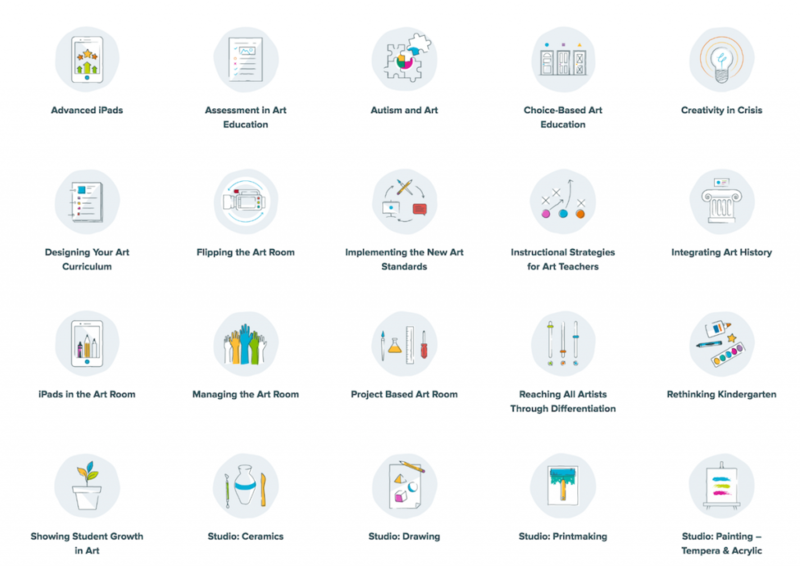 Art educators have to deal with a lot of issues, so we’ve created topics that will help you find what you’re looking for. 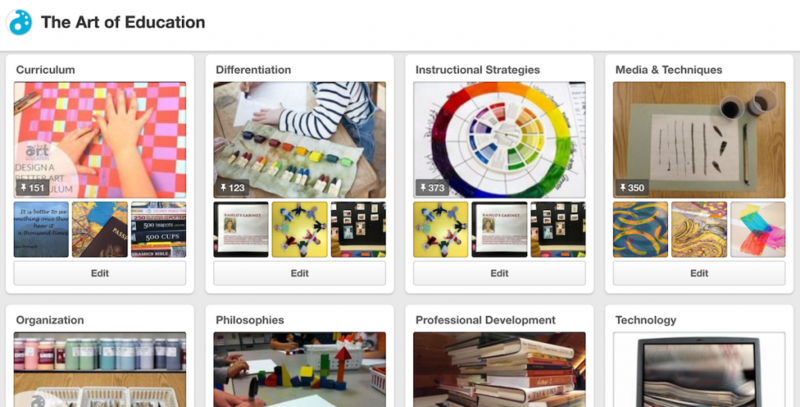 Each one covers a different area relevant to art teachers today so go ahead and explore them. You must be logged-in in order to download this resource. If you do not have an AOE account, create one now. If you already have an account, please login. Great! you’re all signed in. Click to download your resource. Due to specific regulations in , AOE is not currently enrolling students in your state. We apologize, but at this time you can not move forward with course enrollment. Let us know if you have any questions. Please contact us with any questions. Art Teachers are innately creative problem-solvers and they come up with THE BEST solutions to everyday problems in the art room – a.k.a. art room hacks! 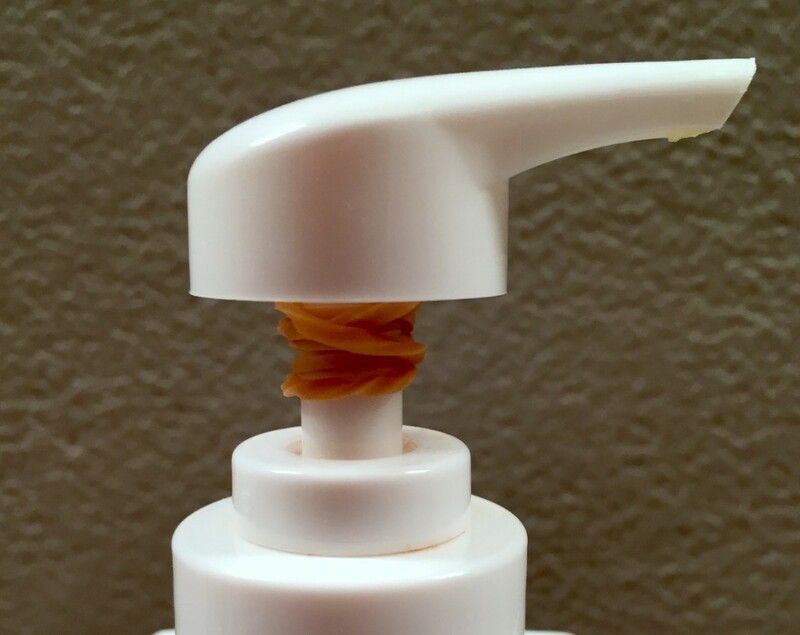 There are many great ideas out there, the trick is to know where to find tried-and-true art hacks from art professionals who know their craft! Here are three places to find the best art room hacks. AOE’s Pinterest site is a treasure trove of everything art room-related. Prepare to be amazed and sucked in! Also, while you are happily pinning away, be sure to check out Donna Staten’s Pin Boards. 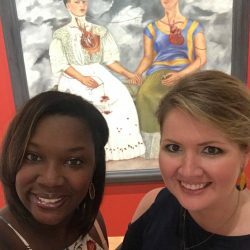 She just happens to be the #1 Art Teacher to Follow on Pinterest! Meeting with, or better yet, observing your colleagues in action is a sure-fire way to scavenge new ideas. The art room has specific challenges only art teachers can relate to. 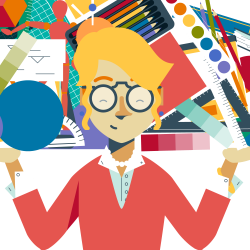 How about scheduling an “Art Room Hack Professional Development” event? I would love to walk away from a meeting with a handful of new art room hacks to try! If you don’t have a local art department or PLN, create one online through professional development or graduate courses. 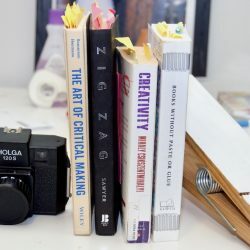 AOE Courses are designed by art teachers, for art teachers, and our class participants repeatedly comment on the meaningful opportunity to share and work with like-minded professionals. We can be your long-distance PLN and give you the chance to share your art room hacks, too! Use old dentist tools for fine details in clay or wax. Create DIY easels from pizza boxes. Apply dry erase markers to take sharpie off of white boards. Stick pipe cleaners inside paint pumps to prevent clogging. Assign numbers to students to make grading easier. So, the next time you find yourself racking your brain for a solution to anything art ed-related, reach out in-person or online. I bet there is an art teacher out there who has been in your shoes and has an amazingly simple solution. What is your best art room hack? Please share in the comments! 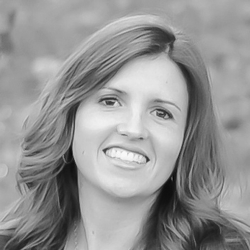 Heather is AOE’s Project Manager and an expert in differentiation, curriculum development, and assessment. She is a veteran teacher in the art room and at the graduate level. Have students label each work of art with their “class code”. I elementary a lot of the little’s can’t write their last name (and their first name is likely illegible).. so I assign each class a ‘class code’.. the first letter of their teachers name and their grade. Mrs. Ashley’s 4th grade class is ‘A4’. Have students put it on the back of their project and circle it. That way it’s easy to sort if they get mixed up on the drying rack or after a hall display. 2nd hack for WEAVING WITH YARN buy shoe size plastic boxes at the dollar store. Drill a hole at the end of each box centered in the middle . Place two skeins of yarn with the yarn coming out of each hole. If your skeins are the extra large ones, you will need one per box. Get an old coat rack, give it an update and hang it on the wall so students can hang left over pieces of yearn. Paint each hook or tie a bow with the colors of yarn so students know where to recycle any extra yarn they didn’t use. You could mount the coat rack on a door or hang it on clips. The organizational idea with plastic shoe boxes came from pinterest. 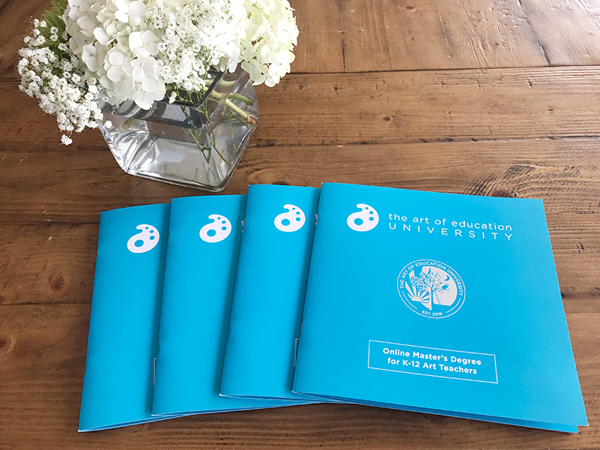 Get a FREE AOEU Course Viewbook so you can start making your Summer PD plans.